The city of Wagga Wagga and its surroundings are blessed with outstanding natural and cultural assets. This includes the famous Murrumbidgee River which forms a distinct river corridor through our city and offers a natural hub for recreational activity as well as our flora and fauna. 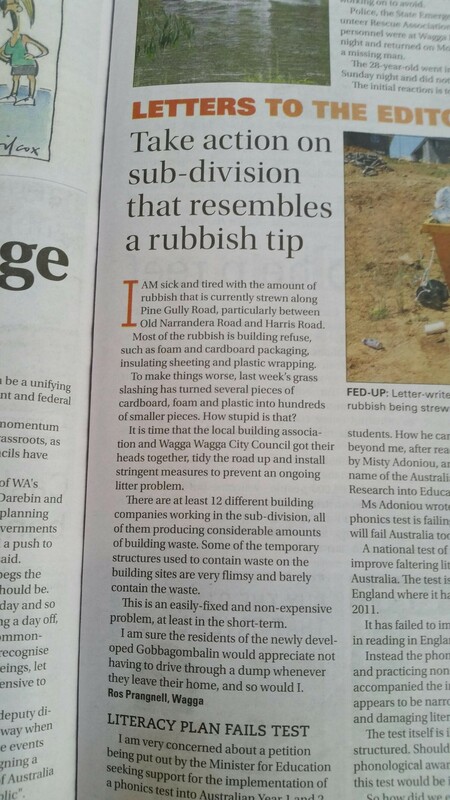 Wagga Wagga Urban Landcare seeks to play a role in the preservation and enhancement of the region’s natural assets. The Group’s efforts are focussed in four key areas: education, on-ground action, social enrichment and advocacy. 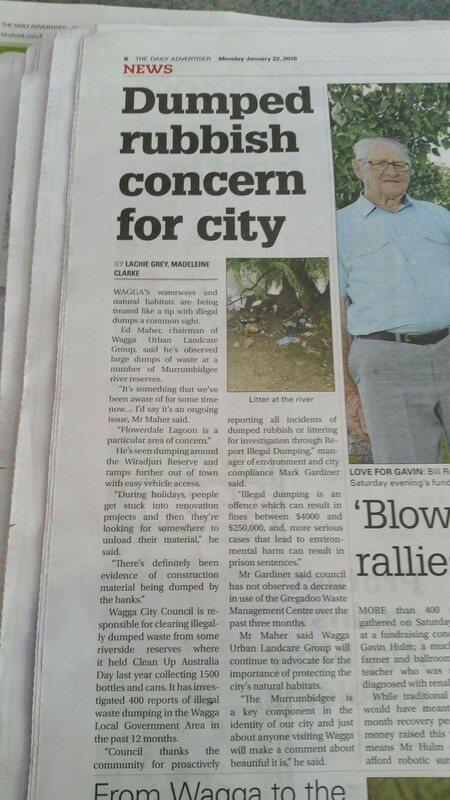 Wagga Wagga Urban Landcare is an active group that undertakes monthly events and activities throughout the year. Check out these pages to see some of the activities we got up to in 2018!